This pretty Stacy Anklet is an ideal body jewellery for your summer 'foot loose and fancy free' boho look. 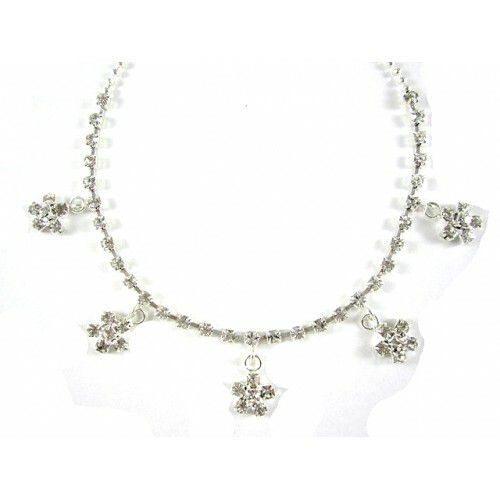 The silver, rhinestone encrusted chain and floral charmed anklet can be worn on any occasion, fun or formal. Wear this to any event to draw attention to that sensational pedicure and toenail color.